When a communal water pump breaks it can dramatically impact a community. 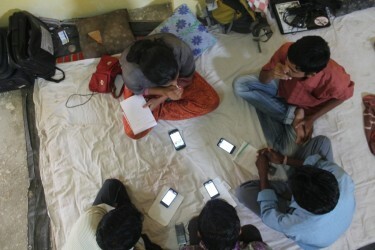 But in places where cell phone connectivity is sporadic, like rural India, it is that much harder to get the help to fix it. 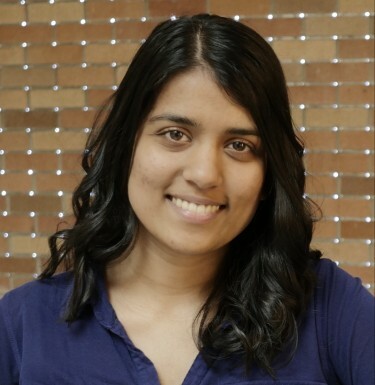 Enter University of Washington junior and 2014-15 Levinson Scholar Krittika D’Silva, who envisioned and developed an app for that during her internship at Microsoft Research in Bangalore in the summer of 2014. It was considered so innovative and effective that National Geographic ran a story about it at the end of the summer. 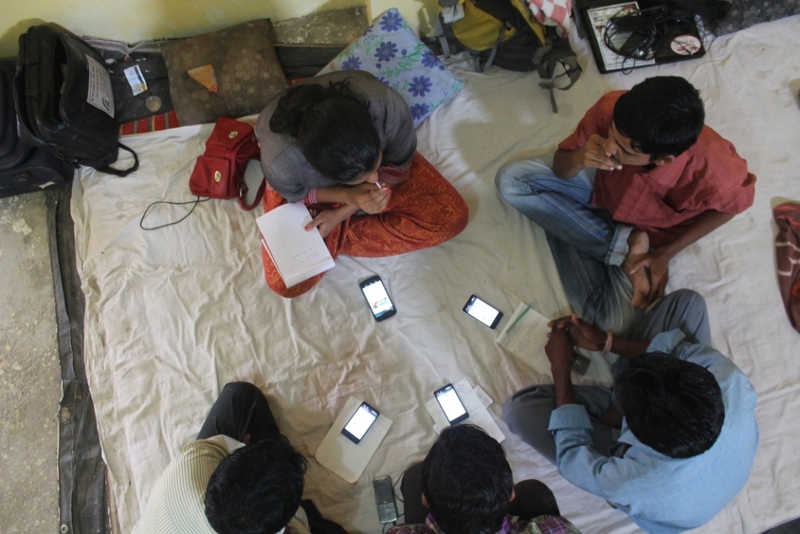 D’Silva personally conducted pilot testing of the app to improve its usability and worked with small groups from surrounding villages to teach them how to use it. “Most of the people I worked with had never seen a smartphone before, so after watching them use the app I was able to learn what changes to make so that it was as intuitive as possible,” she says. 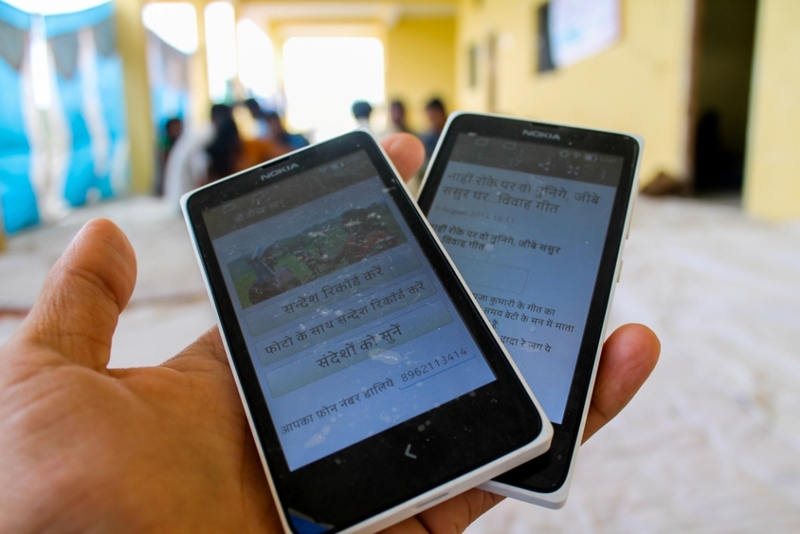 Designed to work with CG Net Swara, a mobile phone-based reporting platform, the app automatically pushes community-recorded audio messages to a server where activists can use the information to notify local officials and advocate for help. Studying computer engineering and programming was not D’Silva’s original aim; she planned to major and conduct research in bioengineering at UW. However, exposure to computer engineering in Joan Sanders’ Prosthetic Science and Technology Lab sparked her interest during her sophomore year and today she pursues an Honors degree in both fields. She hopes to combine them in the future to use software as a tool to develop solutions in healthcare. Her interdisciplinary research interests, aspirations to seek a computer science Ph.D., and desire to participate in future research projects made her a strong candidate for the Levinson Emerging Scholar Program, a scholarship funded through a generous gift from Art (’72) and Rita Levinson. Art Levinson is the founder and CEO of Calico LLC, chairman of Apple and former chairman and CEO of Genentech, one of the world’s leading biotech companies. Designed to encourage talented undergraduates to pursue advanced research in science and engineering fields, Levinson Emerging Scholars undertake independent projects of their own design with support from mentors and members of their lab, much as Art Levinson did when he was a UW undergrad. Interested in math and science since her high school years in South Surrey B.C. (her family moved to Canada from Goa, India, when she was six years old), D’Silva was drawn to the UW’s strong bioengineering department and its reputation as an innovative research university. Though she found it intimidating to reach out to prominent researchers with her high school resume, she was persistent and eventually earned a spot in Joan Sanders’ lab. There until partway through her junior year, she worked on a project that used sensors within prosthetic sockets to collect data as individuals sit, stand and walk. The findings have the potential to improve prosthetic socket fit and ultimately reduce discomfort for individuals with lower limb amputations. Shortly thereafter, she applied for a major in the computer science department and transferred to Gaetano Borriello’s lab. There, under the tutelage of Dr. Borriello (1959-2015), whom she fondly regards as a major influence, she helped develop hands-free smart phone technology capabilities for health care purposes. She currently works in the Yager Research Lab to develop small, portable diagnostic kits for MRSA, a bacterial infection prevalent throughout the world. The output for the tests is a paper strip that is too detailed for the eye to read. With the help of an Android application installed on a mobile device, health workers can obtain an objective diagnosis at the point of care. “From a computer science point of view, if we can do this for one disease, we can do it for other diseases,” explains D’Silva, excited for the potential to replicate the test. Discovering the intersection of her majors in the context of a budding research career was a powerful time for her to join the Levinson Scholars community, which is comprised of similarly motivated students engaged in their own unique research projects. “Receiving the award was validation in a way. It meant that someone believed in the work I was doing and believed it was important,” she reflects. This summer D’Silva will put her programming prowess to work as an intern for Google in Mountain View, CA, working on a team that develops Android infrastructure for Google+. And after that, though the appeal of getting a job after she graduates in 2016 is undeniable, D’Silva envisions continuing to do research that has the potential to impact the developing world.